We were looking for a red rose bouquet for our wedding with the same type thing for the centerpieces but it's becoming very expensive. Is there a white flower that you would recommend would go well with roses? Have you thought about using rose petals to decorate your tables? You can buy the rose petals from most florists or the silk ones do look just as good and they don't wilt! 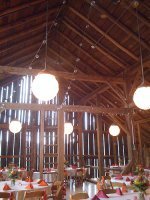 You could then have candles as part of the centerpiece. 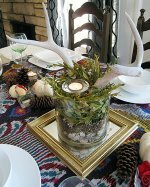 Instead of a red rose centerpiece with lots of roses you could have a single red rose submerged into a vase, you can secure these with frog pins on the base of a cylinder vase and then fill with water and have a floating candle on the top. White flowers that look great with red roses are the classic combination of white lilies, however they can be expensive - on the plus side they are big flowers so you wouldn't need as many! 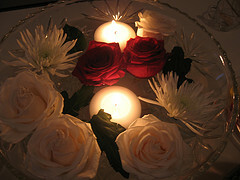 Cheaper white flowers that look good with red roses would be carnations or white gerbera. 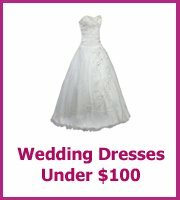 Let us know what you go with and good luck with your wedding plans. Wow! I am more than happy to uncover your site. 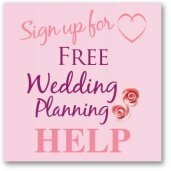 I found here so many helpful ideas and views about Wedding planning. I am sure that this day is the best one in the whole life. I am able to bookmark this site and recommend to all my friends. Please keep it good posting. And do not hesitate to use www.custom-paper-writing.org to be sure in high quality all of your new posts!